We just got back from the coast yesterday. 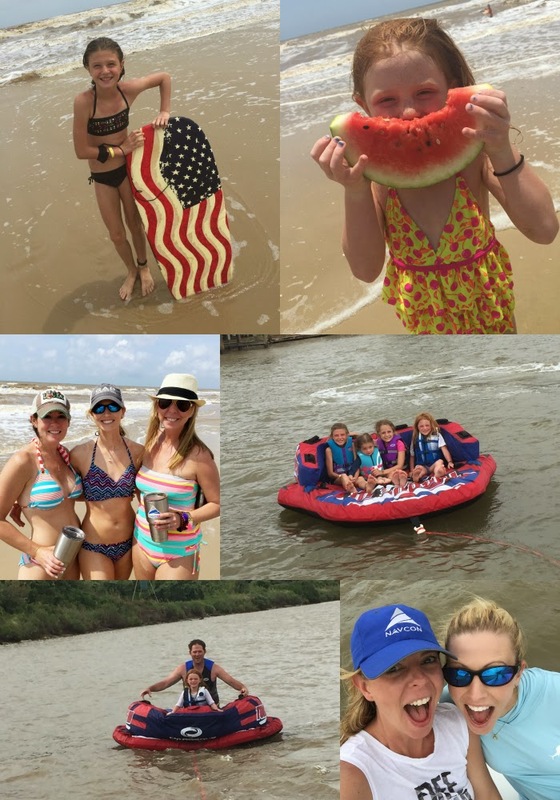 We spent the last four days on the beach, in a boat, by the pool or grilling on the deck. It was much needed rest and relaxation. I was so sad to pack it up yesterday. I mentioned on Friday that I was praying the rain would hold out and it did...for the most part. 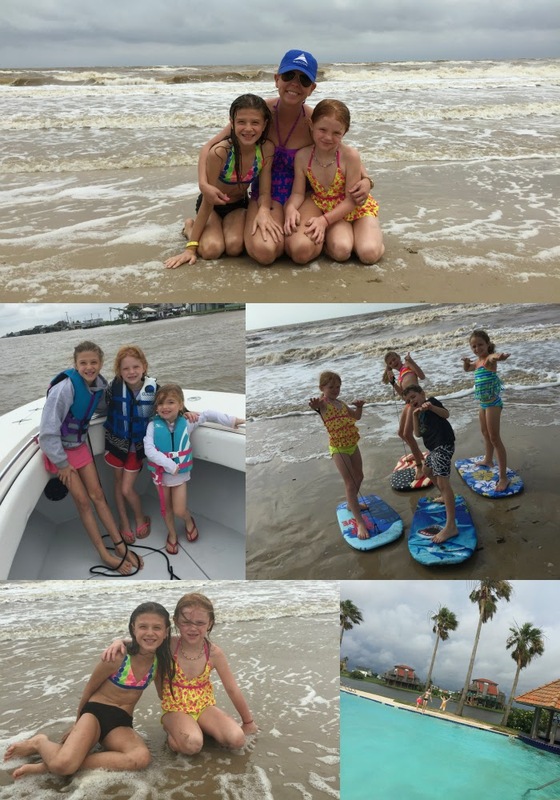 We had some crazy storms early Sunday morning, but the sun came out and we were able to spend most of our extended weekend outside in the sun! I put together a beach essentials guide in case you have any plans for heading to the sand over the next few months. 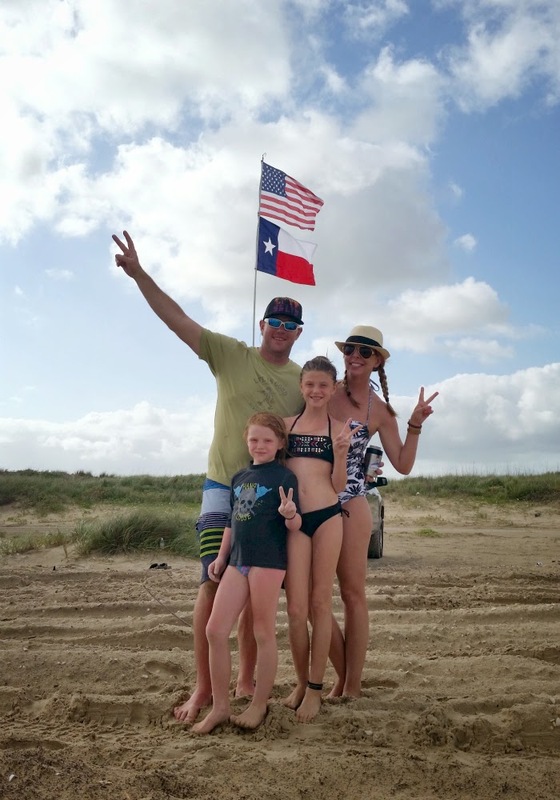 Even if you don't have the ocean on your calendar, everything mentioned below is a necessity when it comes to summer relaxing. 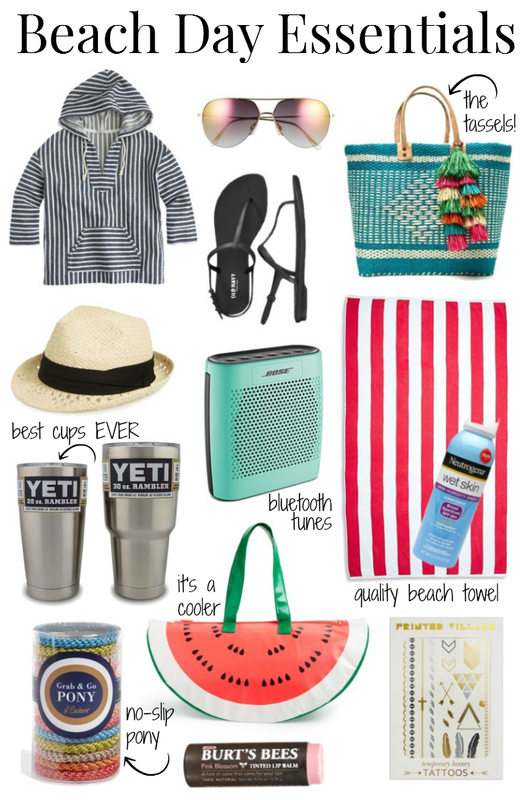 I personally own all of the items or very similar ones...except for the watermelon cooler bag, but I am literally dying over it. I guarantee it will be a conversation starter. Here are the details and more of an explanation about a few of my must have suggestions. If you are looking for a cup that literally will keep ice for HOURS in the hot sun, you have to invest in a Yeti rattler. Every single one of us had one this weekend. It doesn't just keep cold drinks cold, but it will keep coffee hot forever too. They are a little on the expensive side for a cup, but I PROMISE, they are worth every single penny. They make great gifts too...especially for Father's Day coming up. I don't own this exact beach tote, but I have this one by the same designer. I cannot say enough about this bag. It has been to Mexico, the pool, beach and several places in between. The quality is amazing! I came across this new style and even though I don't actually NEED another one, the color, print and raffia tassels are tempting me. Looking for the best ponytail holders ever? Grab this set. They are no-slip and will not damage your hair. Plus, they look pretty cute on your wrist too! These sandals have gotten lots of mileage. I got them last year and have had several friends ask me where they are from. They have held up, can be rinsed off and look like new again. In my opinion, they win best purchase for the money. Last but not least, if you are looking to invest in a portable, bluetooth speaker, please trust me when I say that a Bose system is your best bet. The sound doesn't even compare to most other brands. We have had ours for several years and it works just as good as the day we got it. A day at the beach or by the pool just isn't as fun without your favorite tunes to sing along or dance to. 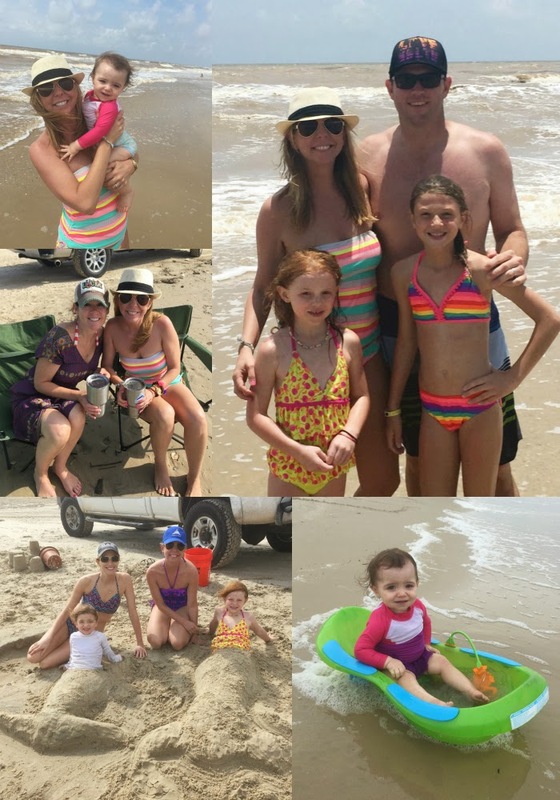 Okay, enough chatting, here is a little peek of pics from our beach stay. We all agreed that we will be going back sooner than later. I hope everyone enjoyed the holiday weekend and took time to give thanks to our servicemen and women. P.S. Central Texas got hit pretty hard with floods and tornadoes this past weekend. A town about an hour from us is devastated. Hundreds of people lost their homes and many lost their lives. Please keep them in your prayers. There are lots of ways to donate whether it's supplies or monetary. My heart goes out to all that have lost.